But the prospect of a vague “peace” appeared threatening to many Armenians who feared that it would require territorial concessions that are unacceptable to them. And many Azerbaijanis, for their part, saw it as a naïve capitulation to Armenians who would only use the illusion of diplomatic progress to continue to prolong their occupation of Azerbaijani lands. In the absence of public support for the ministers’ statement, the reactions to it were largely negative. "The Azerbaijani side's optimism is understandable, but the Armenian side's optimism is incomprehensible to me,” said Vardges Baghryan, a member of Nagorno-Karabakh’s de facto parliament, in an interview with the Armenian newspaper Tert. "If Azerbaijan is satisfied with the situation, it is clear to me where the wind is going. I do not see anything good for us." Armen Ashotyan, a senior member of the formerly ruling Republican Party of Armenia, wrote a Facebook post calling the statement “incomprehensibly optimistic” and demanded that the government explain it in greater detail. The newly appointed head of Azerbaijan’s association for people displaced from Nagorno-Karabakh, Tural Ganjaliyev, welcomed the ministers’ statement. 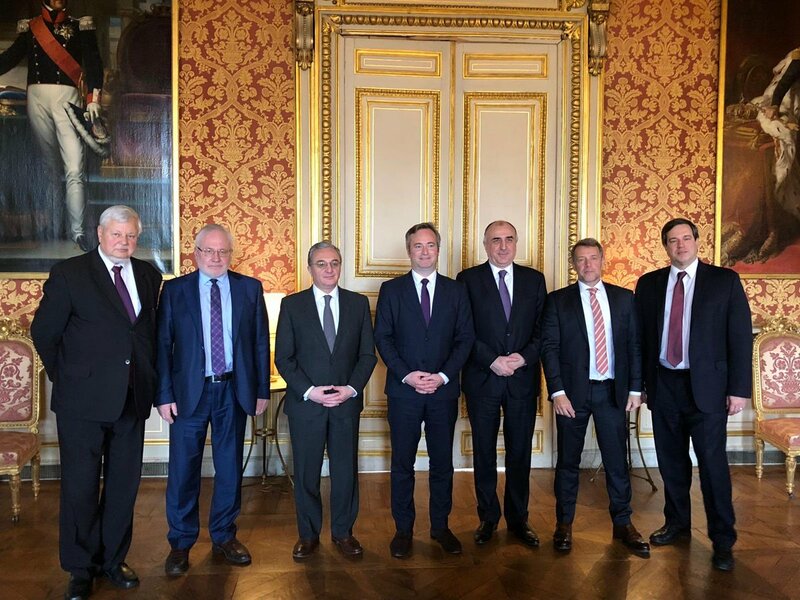 “The Azerbaijani community of the Nagorno-Karabakh region of the Republic of Azerbaijan hopes for a speedy peaceful settlement of the conflict and ensuring co-existence with the Armenian community," he said in a press release. The website Haqqin, connected to Azerbaijan’s security services, ran an interview with a Russian analyst on the announcement that expressed skepticism about any potential deal. “Azerbaijan can hardly expect any positive changes in the peace process, much less the return of lands,” said the analyst, Grigoriy Trofimchuk. “For 25 years, we have been reading the same statements and explanations, while the occupation continues. If everything is as the Ministry of Foreign Affairs claims, and ‘discussions are going in a useful and positive direction,’ then why is nothing happening?” wrote Azerbaijani foreign policy commentator Elkhan Shahinoglu.